This weekend was filled with preparation. For the impeding holiday. Incredible, we're in December and the New Year is a few short days away. I, for one, am excited for the new year, although the world is supposed to end as well, so we'll see. The girls and I decided to make our own decorations this year. We made these mini houses. I cut up some cardstock, icons of the Mother and Child and we went to town. I even stamped some of the white cardstock. We had a blast and it was super easy. 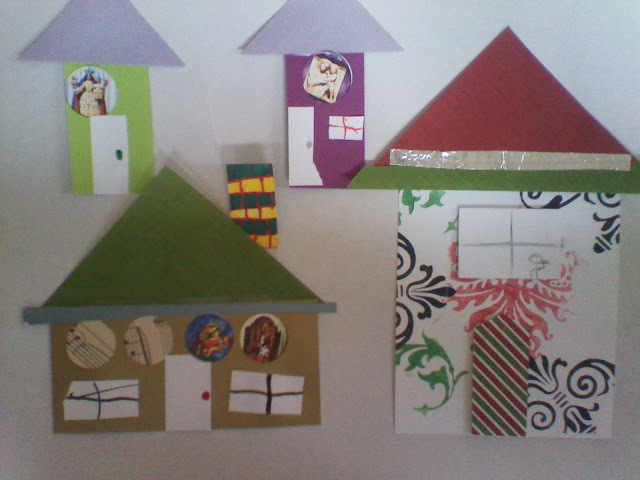 I also made my Christmas cards. 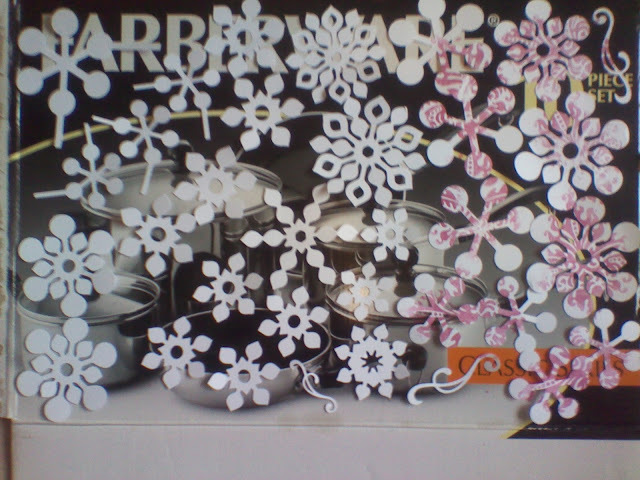 I dusted off my cricut and made snowflakes with white cardstock. I used a variety of shapes , and then I stamped them. I used a big flowery shape stamp and covered all the white. 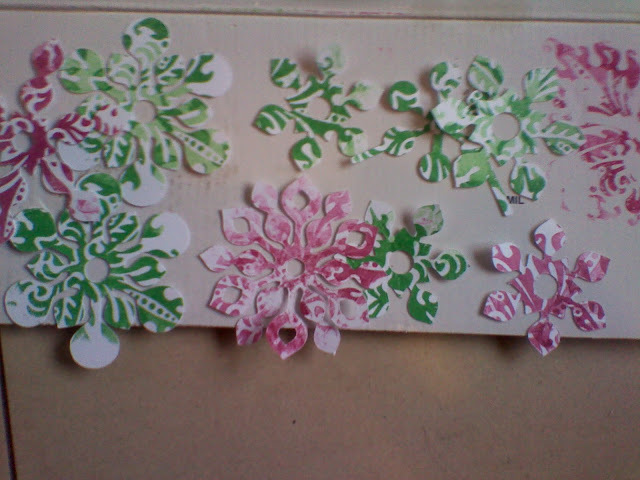 I then mounted them to white blank greeting cards and inked the edge in red, green, or black, depending on the snowflake color. They came out pretty awesome, I think. I love crafts. Do you? Make any traditional things?